Everybody knows Jones: His house is better…his car is bigger… Whatever you may have, Jones has it better, bigger, smaller or the latest model or not at all – according to the latest fashion. But how does Jones do it? A hilarious contemporary satire of life in the late 1950s on a topic that everyone still understands – envying thy neighbour! 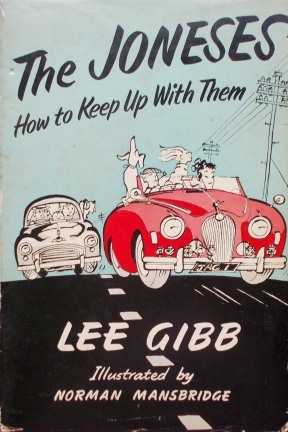 Author: Lee Gibb. Category: Antiquities & Oddities. Tags: 1st Edition, Dust jacket has damage, Otherwise very good, Previous owner's name.